A software VPN (virtual private network) is an encrypted network connection between your own Internet-connected computer and a VDC local network, which bypasses (also called 'tunneling through') the firewall controls (firewall blocks, port forwarding, or load balancing) of a 'Local with Internet Gateway' network. The basic VPN set up procedure in VDC is described in this document. When the VPN is connected, your own computer effectively becomes part of the local network in a VDC zone. For guidance on the basic use of network connections through the firewall, see How to connect to your Linux VM and How to connect to your Windows VM. Please note that no connection rules (inbound or outbound) are set by default for a newly-created network. Take care that you have set a secure Administrator/root password for your virtual machines, before you activate any Internet network connection. Click the Enable VPN button . A confirmation dialog appears; click Yes to continue. Also note that the button function changes to Disable VPN . 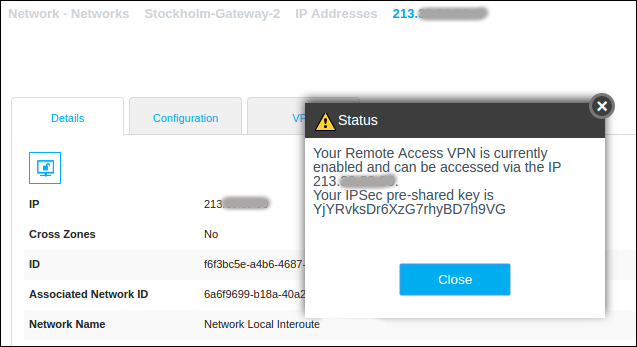 This dialog shows the public (Internet) IP address for the VPN, and the 'IPsec pre-shared key'. Make a note of these values for later use. The username/password combination will be used to authenticate access to the VPN from your (remote) computer. It is not possible to modify the password. If you need to generate a new password for any reason then you will need to delete the username and re-create it. 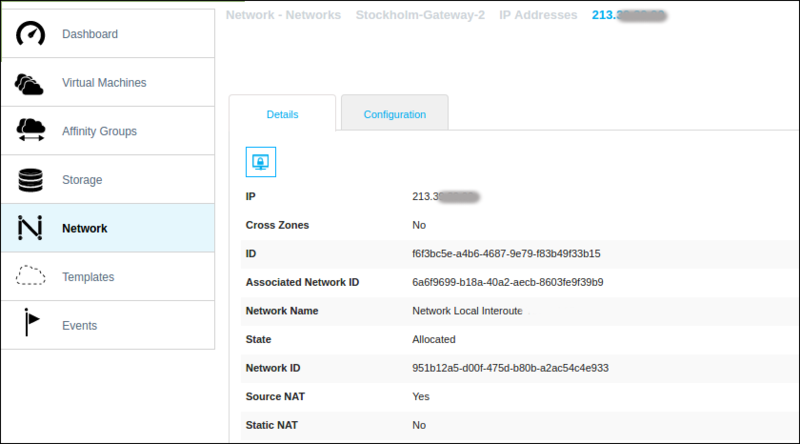 Note: the same set of VPN users is defined for all of the VPN connections in your VDC account. However the account owner can control access because VPN users require the unique pre-shared key for each VPN connection. On your own computer, you will need to configure your VPN client software. Details will vary depending on your operating system and client. and you may need to configure your computer network connection to use the VPN type ‘Layer 2 Tunneling Protocol with IPSec’ (also abbreviated to 'L2TP/IPSec'). See How to enable your computer to use software VPN for a basic guide to creating a VPN connection using a Windows computer.